Experience the unique, friendly atmosphere of the Lake Shore Café at the Chicago Lake Shore Hotel. Large, bright windows fill the restaurant natural lighting and provide dramatic views of Lake Michigan as you indulge in our exceptional breakfast, lunch or dinners. Open everyday from 6:30 am to 10:00 pmthe Lake Shore Cafe is an idea place to treat yourself to a variety of your favorite American cuisine at our affordable family friendly Chicago restaurant. Our breakfasts are highly regarded by locals and visitors alike and can be enjoyed every day or at our very popular Sunday brunch (11 am-4 pm). 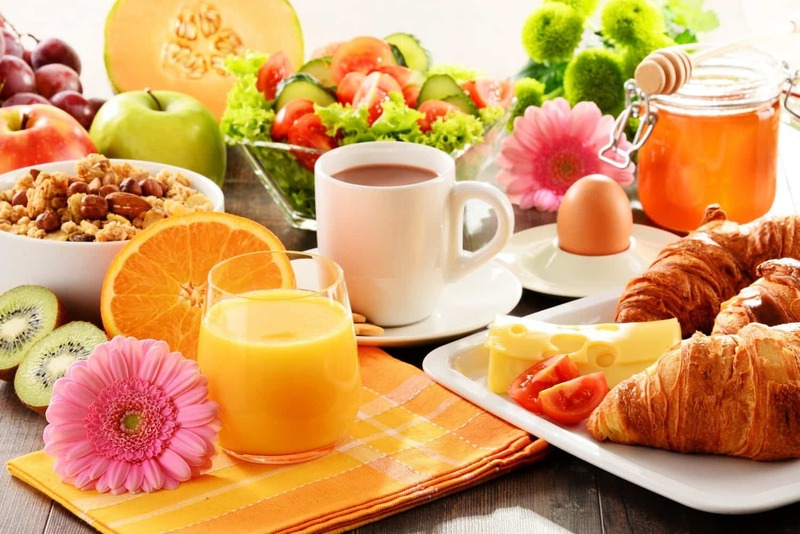 Eat a hearty and healthy breakfast to power you up for a day of sightseeing and downtown Chicago shopping. We also offer special buffets and theme events for Mother’s Day, Thanksgiving, Easter and other festive occasions. Don’t worry if you sleep in, we know Chicago offers a lot to keep you busy and we have you covered with some great lunch choices. At the end of your day when you return from seeing thelocal sites and attractions you and your family can enjoy our dinner specials that run nightly from Wednesday to Saturday. Bite into our mouth-watering Prime Rib dinner or savor our perfectly Grilled North Atlantic Salmon with BBQ or Lemon Dill Sauce.Check out the various menus here. We also feature a Live Jazz Seafood Buffet every Friday night from 7 pm – 11 pm. An extremely popular weekend event, you and your family won’t find a live entertainment and dining experience like this at any other Chicago hotel. Satisfy your hunger and every craving with a dining experience like no other at the Lake Shore Café in Chicago Hyde Park neighborhood.